Project Arts Centre is more than just a venue: it’s a hub for production, a place where art and artists are given the space and support to develop and grow, where we nurture, mentor, partner, collaborate, network, co-produce and present (off site, nationally and internationally) the work of independent artists. And while we’re only a few weeks into 2018 and already there’s much afoot, both at home and abroad. 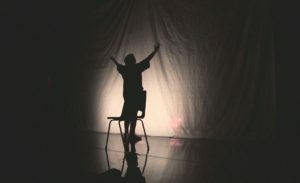 Project Artists THEATREclub began their run of I’m Not Here by Doireann Cody at the High Performance Rodeo in Calgary last week, after which they’ll be heading west for PuSh Festival in Vancouver. 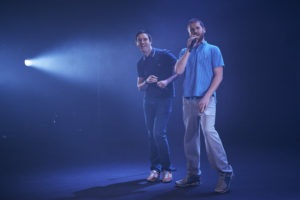 Hot on their heels will be Emmet Kirwan’s Dublin Oldschool, produced by Project Arts Centre, which will be following in their footsteps and also appearing at both festivals over the coming weeks. 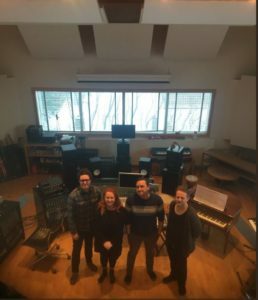 They’re not the only Project Artists braving the snowy climes, Brokentalkers are busy working away in Reykjavik developing some exciting new work with Mary Coughlan. We can’t wait to see what’s next. Back home, things are no less exciting as we’ve been playing host to some intriguing new works in progress from some of our favourite artists. Maeve Stone shared an in development of a new opera theatre project. 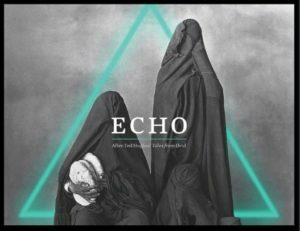 ECHO, supported by the arts council and Project Arts Centre. Maeve, whose work emphasises musical innovation and and site-specific plays adapted from literary texts or concepts, is working in collaboration with with soprano Michelle O’Rourke and composer Simon O’Connor. 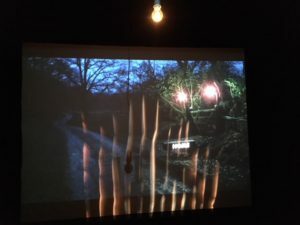 Megan Kennedy, one half of Project Artists Junk Ensemble, has also been developing new work in collaboration with Sarah Jane Shiels and presented Lighting for Dance, supported by an Arts Council Dance Bursary. We can’t wait to see what the coming year has in store, keep up to date with all of the latest news from our Project Artists by following us on Twitter, Facebook or Instagram.